HOUSTON (WLS) -- Former President George H.W. 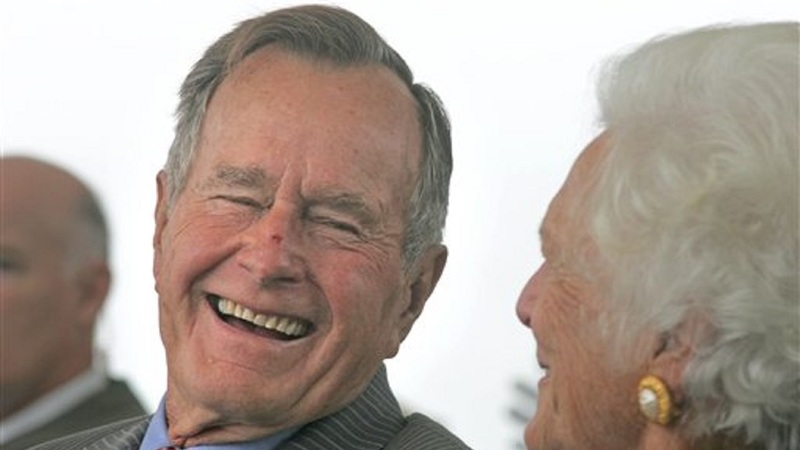 Bush, 92, remained in stable condition on Friday after being hospitalized on Wednesday. Officials said he was extubated Friday morning and is breathing well on his own with minimal supplemental oxygen. He remains in the ICU at Houston Methodist Hospital. Officials said the former president is comfortable and watching the presidential inauguration coverage on television with his wife, Barbara, and their son Neil and daughter-in-law Maria. Bush will remain in the ICU for further observation. 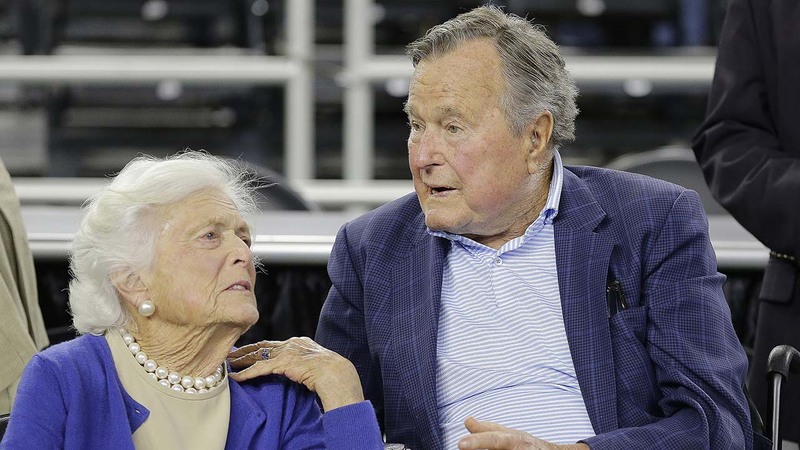 Mrs. Bush continued to feel better and officials said she is focusing on spending time with her husband. She is expected to stay in the hospital over the weekend as a precaution. Bush was admitted to intensive care at Houston Methodist Hospital to address "an acute respiratory problem stemming from pneumonia. Doctors performed a procedure to protect and clear his airway that required sedation," his spokesman, Jim McGrath, said in a statement. Barbara Bush also was admitted to the hospital Wednesday morning as a precaution after "experiencing fatigue and coughing," McGrath said in the same statement. At first, McGrath reported that he was responding well to the drugs. But Wednesday, the 41st President's condition changed and he was admitted to the intensive care unit, sedated and intubated. "It's definitely very concerning," said Dr. Sanjay Gupta, CNN's chief medical correspondent, who noted that it is the first time President Bush has been intubated to protect his airway. "Certainly when someone is sedated, they're having trouble breathing on their own." Several bouts with illness have kept President Bush out of the spotlight in recent years and he has rarely made public remarks. "They have not only dedicated their lives to this country, they have been a constant source of friendship and support and good counsel" over the years, Obama said. "They are as fine a couple as we know," he added, calling the Bushes "really good people."